Exclusive: The trial of Pvt. 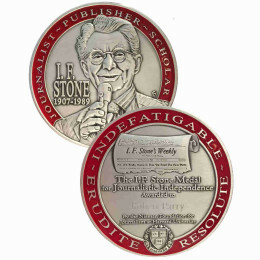 Bradley Manning for leaking classified documents is a test of values in the American Republic. The case pits a democracy’s need for knowledge against the government’s insistence on secrecy, a moral balancing act assessed by religious ethicist Daniel C. Maguire. Bradley Manning is the accused but the real question is who is guilty, the accuser or the accused, the truth-teller or the secrecy-keeper, Private Manning or the U.S. government? In this case Manning is charged with truth-telling portrayed as a criminal act. Intrinsic to a democracy is the tension between openness and concealment. In fairness to the government, truth-telling may be treacherous, even criminal. But in fairness to Private Manning, truth-telling may be an act of heroic patriotism. Protesters outside Ft. Meade, Maryland, the site of Pvt. Bradley Manning’s court martial for leaking classified material. The ethical definition of a lie tells why truth-telling is not always a virtue: A lie is when you deny the truth to someone who has a right to it. Someone who was bringing food to Anne Frank and her family every day is asked by the Gestapo if he knows the whereabouts of the Frank Family. He replies “no” and he even adds his impression that the family left Amsterdam a long time ago. All of that is false, but is it a lie? No, because the Gestapo had no right to the truth regarding the Frank family. Falsiloquium (speaking falsely) is not always mendacium (a lie.) Secrecy and concealment may be necessary to save lives. In ethics this is called an issue of “supervening value.” In other words, ethics is a venue of competing values. Life-saving is more important than truth-telling in the Gestapo case. Telling the truth to the Gestapo would have been a lethal and immoral act. 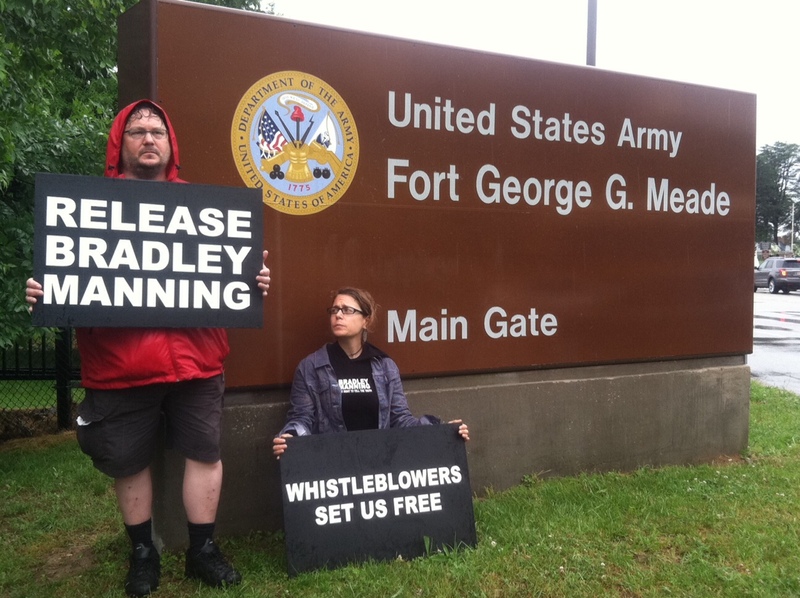 Bradley Manning is not charged with lying; he is charged with truth-telling. The central issue is whether the public has a right to know of war crimes committed by its government. A temptation to despotism lurks in every democratic society; it puts the burden of proof on the whistleblower, not on the classifier especially in matters military. In practice, the whistleblower is presumed guilty (especially if it is clear he violated the letter of a law) and the classifier enjoys an unmerited presumption of innocence.. The assumption is that the classifier saves lives while the whistleblower imperils them, but the very opposite may be and often is the truth. Excessive secrecy takes the leash off the dogs of war and people die unnecessarily. It is a clichÃ© that truth is the first casualty in war. For that reason, the Founders reserved the right to go to war (and to continue a war) to the Congress. James Madison said that “in no part of the Constitution is more wisdom to be found.” The insight of the Framers was that truth is more likely to be served in the branch of government where open debate is de rigueur. Truth is more likely to get out and the vox populi is more likely to be informed and heard. That is why, as Professor Bruce Russett has shown, democracies win their wars as much as 80 percent of the time since more truth gets into the cost-benefits analysis that leads to a democratic declaration of war. The ruling principle is this: There is never a time when citizens should be more informed than when their government is killing people in their name. Declaring war according to the Constitution has been out of vogue since December 1941. This trashing of the Constitution subverts cleansing transparency and given the misguided war choices emanating from the Executive Branch since then post-World War II history vindicates the wisdom of the Founders. “Debacle,” not “victory,” is applicable to our undeclared military expeditions in Korea, Vietnam, Iraq and Afghanistan. That sorry record owes more to excessive secrecy than to speakers of truth. And now the history of war has turned a corner with the entrance of drones, and again secrecy is dominant, possibly to be institutionalized in a “secret court” which will decide mob-style on who is to be whacked. Bradley Manning is being tried in a culture that makes a fair trial all but impossible. The reigning jurisprudence especially in military courts but also in the court of uninformed public opinion has given the hegemony to secrecy and concealment. The crime of cover-up has been normalized and the truth-teller, like the truth, must be imprisoned. The arguments in any trial are like waves. What counts are the tides of assumptions that undergird and control the proceedings. A history of hegemonic secrecy beclouds this j’accuse and Private Manning like the young biblical David faces formidable odds. Silence in the face of this makes citizens complicit in the cover-up of crimes against children, women and men who are the bloodied victims of our shrouded militarized foreign policy. In witness to the fevered passion for secrecy, J Edgar Hoover launched the largest hunt in the history of the FBI, involving as many as 200 agents. That hunt failed but the noble burglary did not. 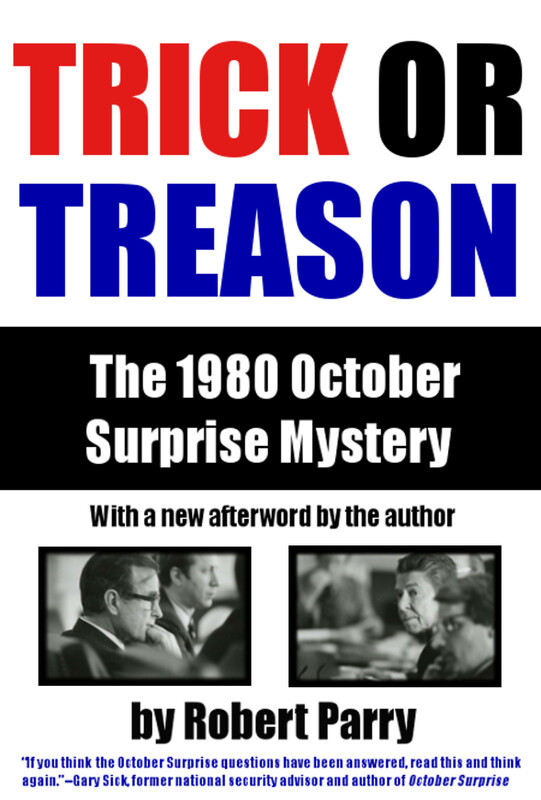 It influenced the strengthening of the Freedom of Information Act in 1974 leading to the release of thousands of secret FBI documents. The FBI’s secret harassment of dissenters to the Vietnam War was exposed to disinfectant sunlight. 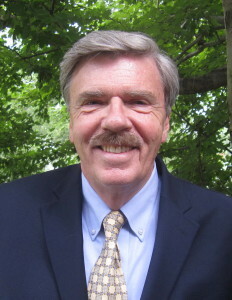 Daniel C. Maguire, a professor of religious ethics at Marquette University, is author of Ethics: A Complete Method for Moral Choice, Fortress Press, 2010. Notwithstanding what you may have read about the prosecution’s allegations, it is yet to be proven that anyone’s life was put in danger by these disclosures; but maybe, just maybe, some lives were saved when the Government found itself being held accountable, though with the secrecy being what it is, we may never know that either. As for disclosures that do place lives in danger, look to your favorite Vice President who revealed more than he should have when he bragged about another operation that should never have taken place. you really believe that rubbish? wasn’t atta’s passport “found” in the rubble after 9/11? ridiculous! by the way: how do you know that it w a s the real bin laden shot in may 2011? what about a (possibly slightly toooo fat) impostor? serves all eternal US needs…..
May I copy and past your quote on my Facebook page? I will absolutely attribute and credit the quote to you, should you give me permission to copy and paste. Itâ€™s one of my two favourite quotes Iâ€™ve seen in the comments to CNâ€™s articles. After WW II, and the NÃ¼remberg Proces, the question was: “Why did not Germans protest against the horrors inflicted on German Citizens, other Citizens and especially the different groups of unwanted origin, i.e. Jews, Gypsies, homosexuals, handicapped etc?” One of the findings of the Court was that every Citizen, every Soldier in the army, had a responsibility to act as a human being and protest against abuse. But they did not. The oppression by the Gestapo and other Nazi authorities was too heavy. One did not dare. But, in a later time, and in a somewhat similar situation, Pfc Manning did. By indicting Pfc Manning, the State of the U.S.A. puts itself in the same box as the German Nazi war criminals. If the U.S.A. “wins” the proces against Manning, the damage in this respect will be beyond repair. And like the “good Germans” of that era our “good Americans” remain silent in the presence of abuse of power. Who will be America’s Emile Zola and when will his or her “J’accuse” be published and make it to the nation’s best-seller list? I just watched the video of the “collateral damage” done from a helicopter. It was difficult to keep looking but I felt that as a US citizen I owed it to the victims. After watching this video I knew why anyone with a conscience would want to stop this sort of murder. It was the part where they killed unarmed men helping wounded civilians that shocked me the most. Does anyone know what happened to the two children? Since they lost their father when he was just trying to help a wounded photographer the US should be supporting the kids if they are still alive. There is a difference between spying and reporting crimes. I recently read a very good essay written by a law professor that explains this. (http://www.marjoriecohn.com/2011/12/bradley-manning-hero-or-traitor.html) I also found clips of talking heads demanding that Bradley Manning get the death penalty. Huckabee, a southern baptist minister, was one of the people demanding the death penalty. They did not use the death penalty in the case where Robert Hanssen, the devout Opus Dei Catholic in the FBI, actually sold secrets to Russia. Hannsen clearly committed treason by selling military secrets to an enemy; Bradley Manning tried to report crimes. Who did Bradley Manning have to report these crimes to who would have stopped them? If nobody in his chain of command was concerned about the murder of a father in front of his children then what other options did we give to Bradley Manning? Boy, are you right. Isn’t it typical that a right-wing gas-bag preacher would hypocritically abandon “right to life” as long as it could gain him some mass traction? Marjorie Cohn’s article points out exactly how morally bankrupt our double-standard society has become. Ah, Ft. Dan, having sat in your classroom, you bring truth to a confrontation with power and my mind reels back to the Byrds and the lyric “when will we ever learn”! All those bodies, all those children gone to sorrow everyone and still we seek to dominate and think we’re the exception to history’s judgment. Thank you! Lots of gems here. What happens when young David’s (Bradley Manning) shot misses Goliath? Run for cover. Prof. Maguire, you are absolutely right, except that the question is not only an ethical one, it is also a legal one that informs and governs the Military Code of Justice in a way that overrides all other obligations placed on every member of the military. If the judge recognizes that, and has the courage to risk her own career to examine these issues and make the right decision, then something fine will come of this trial, but if she tries to cut it so that everyone gets a piece of the cake, with her employer getting the biggest slice, even though the war crimes Bradley Manning disclosed should disqualify it, then the cause of American justice will not be advanced. As for the mainstream media, they are now so focused on the goring of their own ox, that they don’t realize this trial may well become the most important benchmark for American justice, Administration policies, and U.S. Government secrecy and accountability in our century. I suppose killing for corporations and the people who own them should be a secret. Because committing crimes to take other people’s money or wealth has never been very popular. The general public is lied to. We are told war is about freedom and democracy.